Tax day may be dead and gone, but if you’re still wondering how to make the most of your tax return, we have some ideas. Instead of using it for spending money, use some of it and pour it into your home. Investing these extra dollars into your home can help increase home value and give you more bang for your buck long-term. Built-in storage products, such as a custom closet or home office system can help you make the most of your space. Invest your tax return into these types of products to get more usable space, get organized, and make your home even more functional. Custom closets are especially useful and desired in walk-ins, as they are more attractive than typical wiring shelving, and give any potential buyers assurance that they will have plenty of storage space. Plenty of storage is also a major priority for many home buyers since they likely need to store a lot of stuff. Having custom storage ensures that your home solves that problem. Roof repairs are often headaches to try to finance and work out. Ensuring that materials are replaced can help you in the future especially if you plan on selling your home in a few years. A newer roof could help you pass through inspections easily and help sell your home faster. Plus, making sure a leaky roof is fixed before it becomes a bigger issue will save you money in the long run. If you’ve been waiting to switch over your laminate, vinyl, or carpet floors to something more luxurious like solid hardwood, now may be the perfect time to do it. Invest in your floors and increase the beauty and value that your home provides. Hardwood floors in good condition are usually more valuable than carpet or other types of flooring. Getting hardwood floors refinished could also be a good way to revive your floors. Just make sure you’re working with a qualified company. Splurge on one piece of furniture that you love. Splurging on a piece you’ve had your eye on can help a house feel more like home. Investing in a sturdy and durable piece of furniture that works in different types of designs and with different types of color palettes is sure to last you for years to come. Doing this can also help you downsize your belongings. 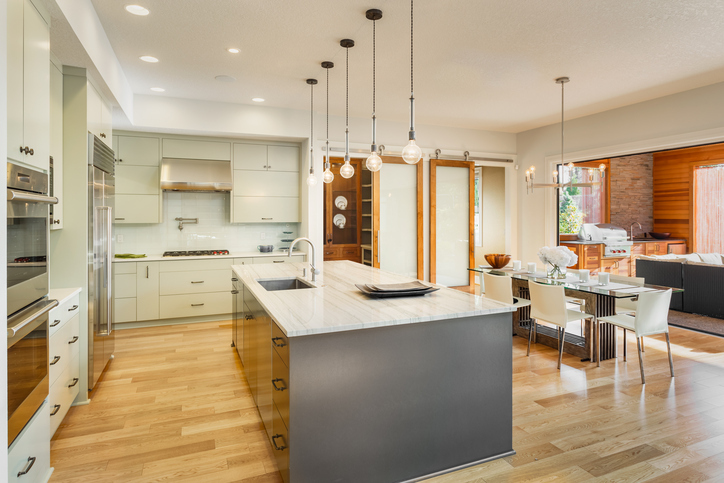 Remodeling your kitchen can give you the most bang for your buck when it comes time to sell. Invest now, by upgrading your appliances. 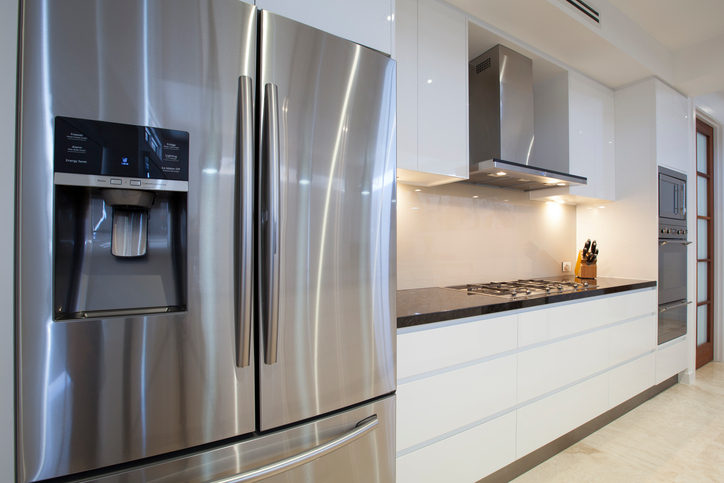 Opting for stainless steel or smart fridges can help you enjoy your kitchen and get the most out of your tax refund. Contact Closet & Storage Concepts to find out how we can help you increase usable space in your home as well as help you make the most of your budget. Photo credits: [1 – Kitchen] © hikesterson, [2 – Appliances] © ZStockPhotos.